A smash book is a new trendy way to do your memory keeping. A simple DIY craft idea. I’m using an old vintage book as the start of my smash book. Have you heard of a smash book? They’re new and trending and are definitely growing in popularity. Smashing is a way to journal that isn’t as precise and scrapbooks are usually considered to be. A smash book doesn’t need to be in chronological order and it’s even okay if you skip around on the pages. You can buy official Smash Books that are filled with different Scrapbook Papers, or do what I am going to do and create one out of an actual book. I plan to add pictures, scrapbook paper, stickers and embellishments by gluing, taping or stapling. The best thing about these books is you don’t have to worry about the perfect layout. This is how they got their name because you “smash” everything in. I have never made a Smash Book before, but I love looking at other books on Pinterest so I wanted to give it a go. A while ago, I was at my local DI (a thrift store) and came across this old book whose title was the same as my name. I just couldn’t resist and I thought it was a sign that it was time to start my own Smash Book. What I love about this book is that it is old. Its copyright date is 1954, and I love that it has old uneven pages. When using a preexisting book, you will need to prep the pages so that you can write, paint and glue over the words. This tutorial is great in explaining how to choose a good book and how to prep the pages. 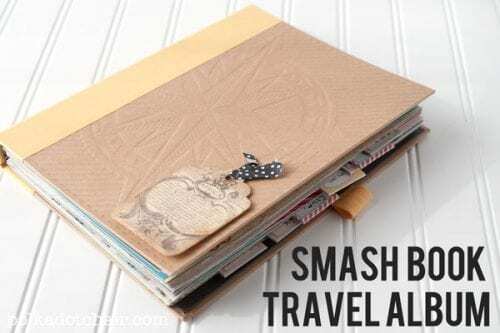 Don’t know what to put on the pages of your Smash Book? These are some page ideas that I love and want to incorporate into my own Smash Book. When creating, I like to see what others have done. It always gives me such great ideas! These are some of my favorites. Aren’t they fun?! The biggest thing to remember is there no wrong way to Smash Book. It is supposed to be messy and maybe even a little chaotic. That is what makes it so much fun! Now to get started on my Smash Book! Have you started a smash book? Share and leave a comment below! SAVE HOW TO START A SMASH BOOK TO YOUR FAVORITE PINTEREST BOARD! Very neat idea! I had not heard of smash books before. Great idea, I’d never heard of them beore. I love smash books and I am in the process of making some for Christmas gifts! Thanks for the share. I’ve seen them but I think I am too much of a perfectionist to use one. 😉 I haven’t scrapbooked in years, but the idea of just smashing things in makes me cringe. 😉 I do think they look cool though! I think the smashing is just a figure of speech…..you can glue pictures over existing pictures in a book. And glue over existing word pages etc. I think it will be fun to do a smash book for my school aged kids. Start it this year in kindergarden and go through until grade 12. That’s a really cute idea! Being a scrapbooker, I’m not sure about Smashbooks, but how fun for the school years! I have been wanting to do a smash book. I love the examples here! It kind of takes off the pressure to make the perfect layout, so it’s not as intimidating as scrapbooking for me. Thanks for sharing! While I have lots of scrapbooks, I had not heard of a smash book. They look neat. I have a smash book but haven’t updated it in ages! Must dig it out 😀 Thanks for the reminder! What a neat idea! I hadn’t heard of smash books either. What a great outlet! Thanks for sharing with us at Link It Up Thursday. I’ve never heard of a Smash book but this is such a cute idea. I bet my daughter (18) would love to make one of these. She just started college and will have many memories to come. Thanks so much for linking up to Creative Thursday. Can’t wait to see what you share next week. Have a great weekend. I like this post. I have a smashbook but your idea is great. I have a link party on Wednesdays, and I would love it if you would link this and any other posts. It is called Wednesdays Adorned From Above Link Party. It runs from Wednesday to Sundays. Hi Katie, this is my first visit to your blog, I found you from onecreativemommy.com. I had never heard of Smash books either but may have to give them a try some time. I’ve been collecting old Reader’s Digests (the pretty hardbound ones) and had been wondering what to do with them. I may have to start with that! Love that you found a book with your name!! How cool is that? I have a Smash book but I’m so intimdated by it. I think I need to find someone to do it with. I love the smash book idea … what a great book to start with! I love the smash book idea. It’s great for when you want to be createive but don’t have time to commit to a full blown scrapbook. What I normally use is a notebook from the dollar store and then just use my scrapbook supplies. Works great! I WANNA MAKE A SMASH BOOK NOW!! Thanks so much for sharing! This is awesome! I had never even heard of smash books before…it’s such a cool idea, I won’t be surprised if they really take off! This is so cute. I bought a smash book with fun stuff to put in it for one of my friends daughters. I think they’re such a fun idea! That is a great idea!! I am so going to have to do this!! Stopping by from Crazy Mama’s Hop! I don’t have a Smash Book, but would like to. I haven’t decided on which layout/style I like most yet (part of why I don’t have one yet). Ha ha. This is an awesome idea! I want to do one! Do you just work right on the pages as they are? Or do you cover them with paper first? Haven’t seen one done though I have heard of them. You can really do it however you want. You can cover the pages with Gesso (which is a painting canvas prepper), glue on patterned paper, or just write right over the top of the typed pages. That is what makes this book so fun! Great question by the way! Love this! I have wanting a smash book.. but just couldn’t bring myself to pay for one I could make.. thanks for the inspiration.. can’t wait to drag out one of my old books I have been saving (or hoarding) for craft projects! 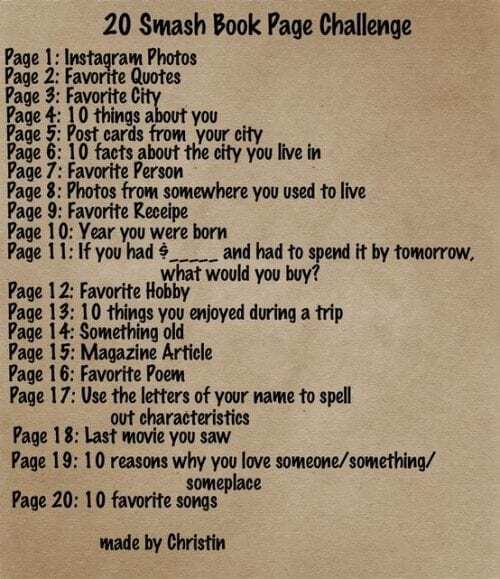 I just barely heard about these and knew I wanted to do this and my kids too…I’m just looking for the “right” book with some kind of meaning. Thanks for sharing these ideas! I have only seen the ones sold in the scrapbook section. I never thought about using a real book! I love books, though, so I don’t know if i could bring myself to glue/paint/write over it 🙂 If I can get over it, I think I’d like to make some for my sisters for Christmas! I have 2 in college, 1 in high school & 1 who is 10. This seems like something girls of all ages would love. Thank you for the idea! I found your blog through Holistic Homemaking! I picked up an old book at half price books to make one of these smash books. But haven’t got started yet. Didn’t know that it was called a smash book though. Will check them out on Pinterest. Thanks for sharing! Very cool! The thing I love about smash books is they don’t have to be perfect – I’m always trying to overcome my natural perfectionist-ness (haha, not a word), and these are good for that. 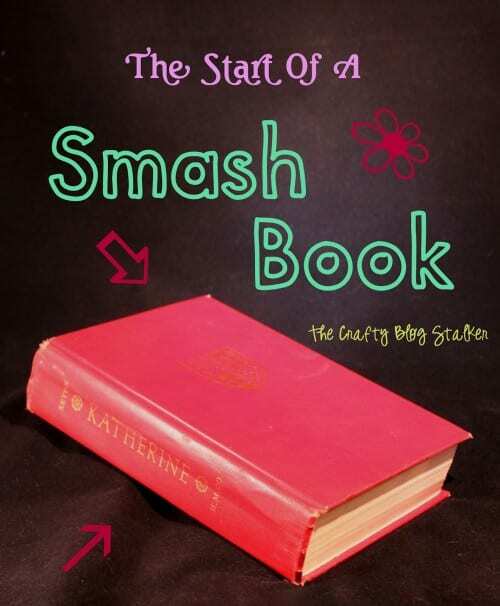 I have never heard of a smash book, cool idea! 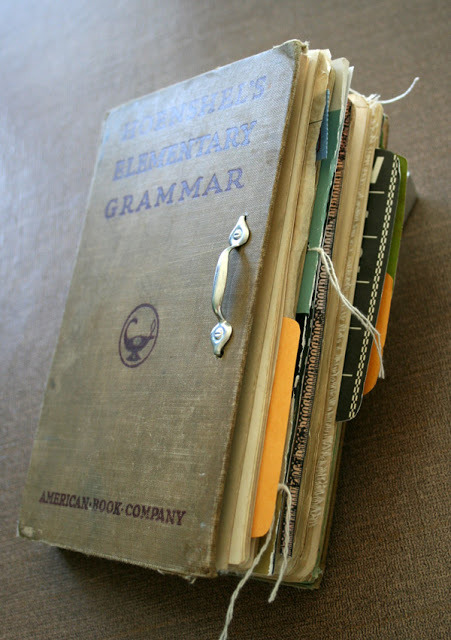 I like the idea of reusing old, useless books. So glad i found you, can’t wait to see more of your ideas! I’ve heard of them but didn’t know what they were. Love the book you found! I love this and I had never heard of this and I love it! Wow so cool and fun! Thanks so much for sharing this with me at Bewitch Me & Titi! Hope to have you back with another awesome share! Hope you are having a wonderful weekend!!! Wow, I actually did that years ago with a lousy novel, but I didn’t know there was a name for it. haha… i found this looking at journalling on pinterest… I descend from the Katherine that book is about. I read it because of the genealogy I did and discovered how I am connected to her. I got it on kindle. Its a remarkabley good book, too bad you didn’t read it first! LOL I too alter books, no worries… just funny… you might like it, its a true story. My 13 yr old just told me she is going to start one of these for the new year! Thanks for the ideas!! We have being working with this kind of mixed media, using books and transforming them, we call them Altered Books. They came to the artist community about 10 to 15 years ago. 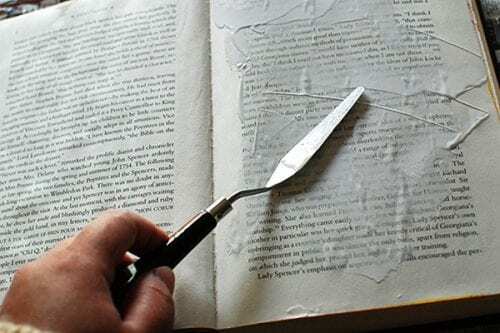 Its a neat way to transform old books. Have fun !!!!!! Don’t forget to take out pages to make room for what you will smash in! 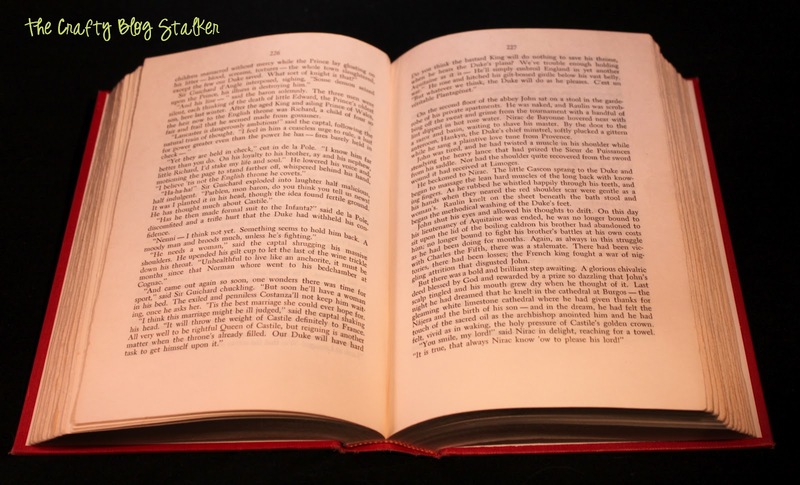 The unevenness of the pages is evidence that the book is composed of quite a few signatures of several pages apiece (probably 5-10, which, when folded in half, creates 10-20 pages) which are then sewn into the spine. An easy way to remove pages is to find the center of each signature and remove the top few sheets in each one. The center of each signature is in the middle of each grouping of pages, where the sewing is. You could also take out alternating entire signatures, or at least about 1/3 of them. Otherwise, your book will become so fat that it will be impossible to close it! Best wishes! Thanks for the great tip Teresa! It looks like you introduced the smash book to a bunch of new readers. I am part of a long list who never knew about them either. Its a cute idea. Thanks Leanna! Smash books really are a lot of fun. I’m glad I could introduce you to something new! Hi Kendall! Great idea! You are right, A smash book would be perfect for that! I’d never even heard of smash books and I feel like I still don’t quite “get” them, so I guess I know what I’ll be googling more of later! 😀 Have a great weekend! Love it! I have been wanting to make s smash book for a long time to get all of my little bits of memorabilia and scraps into one place. Thanks for the great inspiration! You are very welcome Pam! Thanks for stopping by! i have a smash book i am working on, like it a lot. so much fun. didou paint the pages first? Thanks Betty! It depends on what you are going to be coloring on your pages with? If it is colored pencils then no need, but if you are wanting to use paint or ink I highly suggest it. It keeps the paint/ink from seeping through to other pages. This is the 1st time I’ve heard of a Smash Book. Can you please tell me what the difference is between a Smash Book and a Junk Journal? I think it’s a great idea. Hi Sharon! 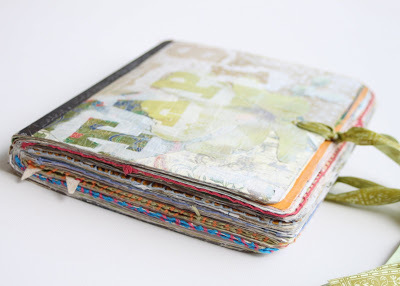 A Smash Book and Junk Journal are the same things, just a different name.